The CoffeeShop Blog: CoffeeShop Lightroom Preset Pack: Autumn Pop! CoffeeShop Lightroom Preset Pack: Autumn Pop! If you are a Photoshop/PSE user you might have downloaded my Autumn Pop action or read my Autumn Pop step-by-step tutorial. 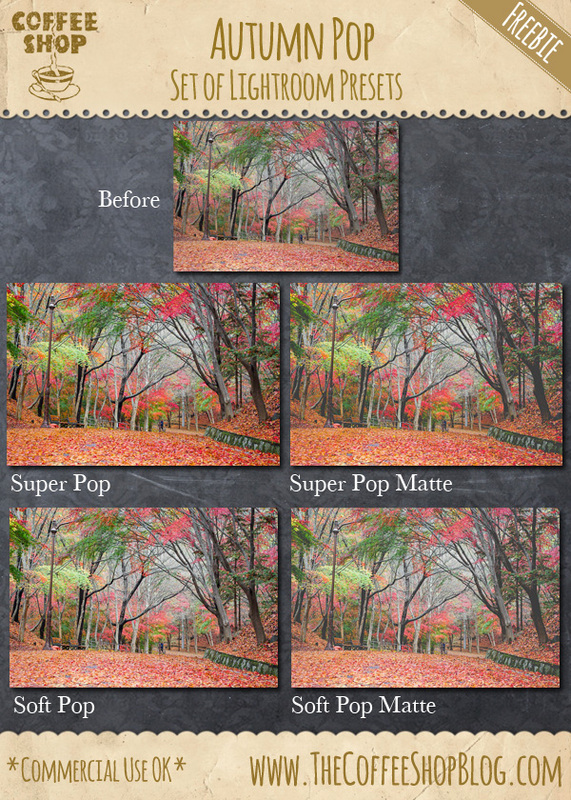 I won't neglect my Lightroom readers so today I have a set of four Autumn Pop presets for LR4 and up. I found this image on Pixabay. 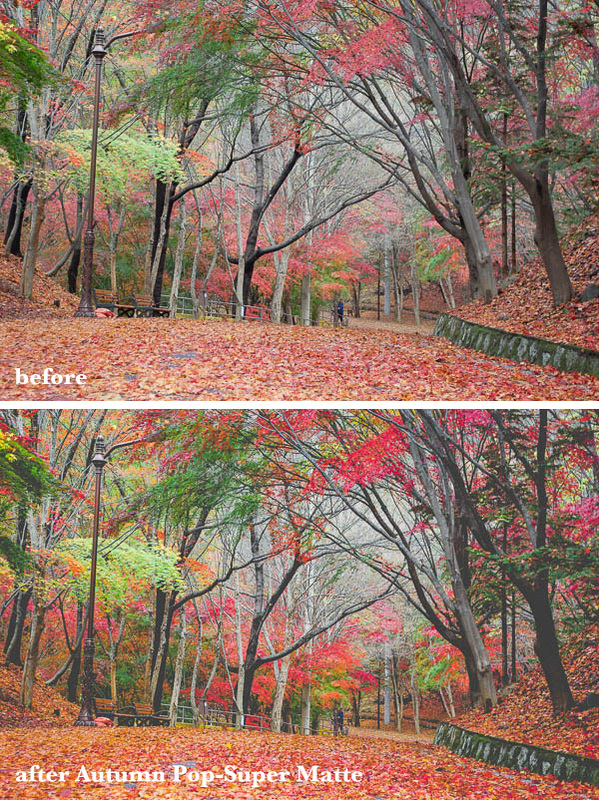 I have posted a larger before and after below of the Autumn Pop-Super Matte preset. Note: I overdid this edit a bit so you could see a difference on your screen. Download the CoffeeShop Autumn Pop Lightroom Preset Pack. You can also download it here.